A Simple Invitation to Play and Create with Wikki Stix! 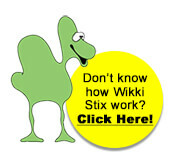 If this is your first time visiting, welcome to the Wikki Stix Blog. Throughout the blog (and website), you’ll find 100’s of ways to play, learn, and create with Wikki Stix. Please take some time to explore all the ways Wikki Stix can entertain and help your own kids learn through creative play at home, in the classroom, or on the go. 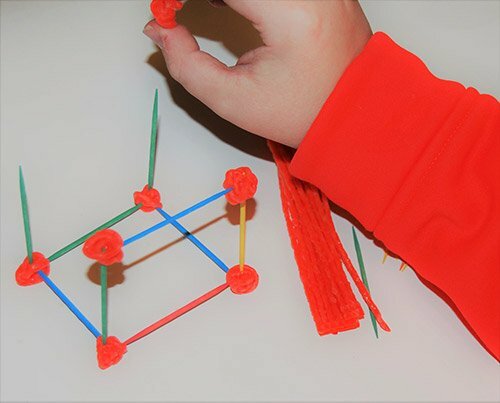 Setting up simple invitations to play and create with Wikki Stix is one of the best ways to get kids’ imaginations and creativity flowing for hours of playful learning and FUN. Gather your Wikki Stix to make your own simple invitation for kids to play, explore, and create! 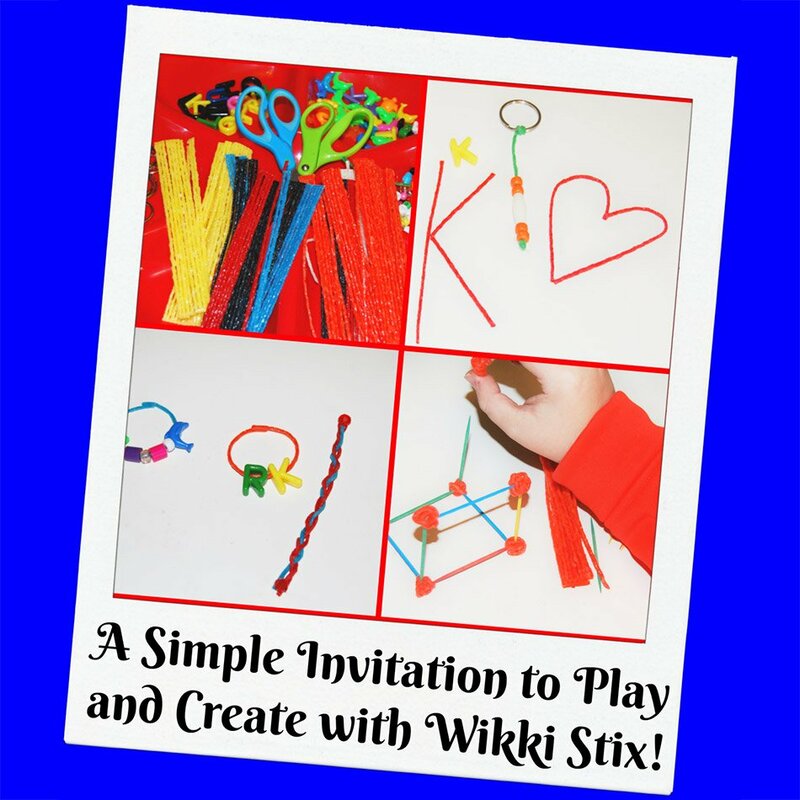 Simple Invitation to Play and Create with Wikki Stix! What is an invitation to play and create? An invitation to play is intentionally arranging the home environment to allow kids to explore, create, learn, and play independently. Invitations to play should encourage a child’s curiosity with materials that scream, “Come play!” Wikki Stix are an awesome sensory material to provide hours of creative fun when used as a simple invitation to play! Assorted Items Found at Home (ideas might include: plain or colored paper, tissue paper, pony beads, plastic letters or numbers, feathers, large wood beads, toothpicks, or old keys/key rings) – NOTE: Please make sure any items used are age-appropriate for the children creating in your own home. Invite kids to help look around the house for additional items to create with (see materials list for examples). 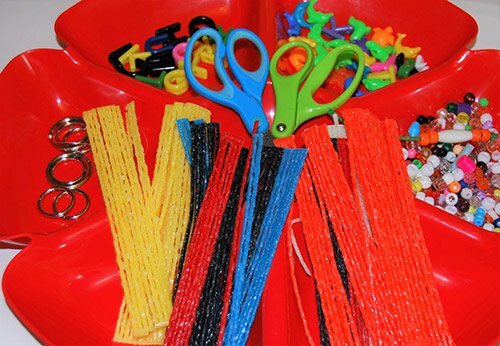 Set out all the various colors of Wikki Stix, along with any additional supplies, on a large tray in an area where kids can design and create on their own. It’s amazing to see what a simple invitation to play will do for encouraging kids’ imaginations and creativity as they explore. Simple invitations to play can even be enjoyed by a group of children at the same time. Set out supplies and the kids will create side-by-side, as partners, or on a group design. Each craft or creation will be unique to the child or group creating. Invitations to play and create should be fun and engage kids in hands-on play through interesting and inspiring supplies. Wikki Stix are pliable and the colors compel kids to try them out! Invitations to Play Encourage Kids to Use Their Imaginations. Invitations to Play Use Simple and Interesting Supplies to Engage Kids. Invitations to Play Should Challenge Kids to THINK and DESIGN. 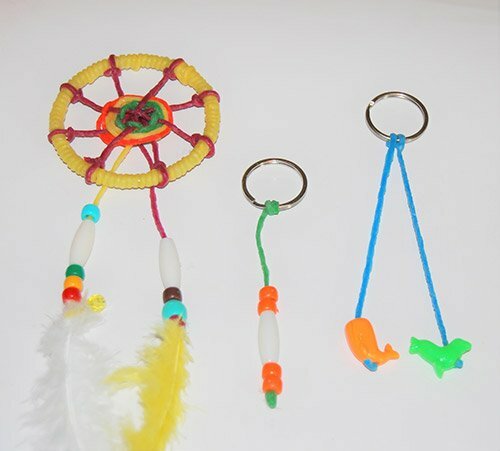 Set up your own Invitation to play with Wikki Stix and watch your own kids’ creative ideas come to life! 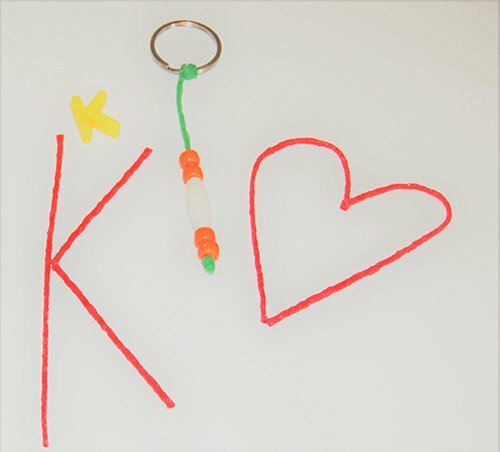 Emoji Crafts for Kids with Wikki Stix! Angry Birds Inspired Crafts for Kids! 3 Little Pigs – Read, Create, and PLAY! SHAPES! A Building Challenge for Kids!